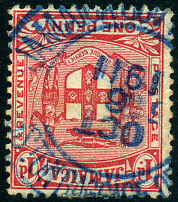 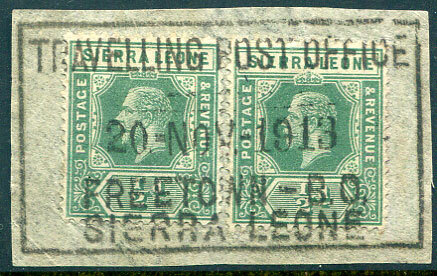 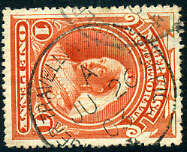 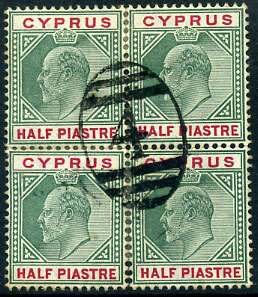 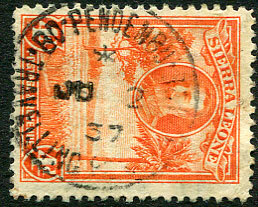 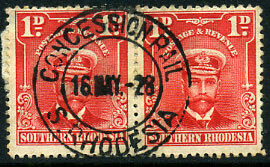 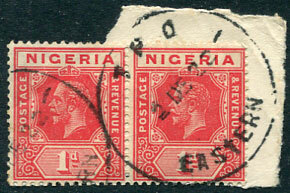 (202.01) 20 NOV 1913 on pair KGV ½d (SG.112) piece. 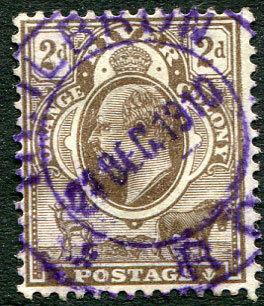 (207.01) */AP 28 14 on KGV 1d (SG.113) piece. 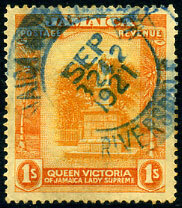 (207.01) */12 AU 56 on QE2 3d (SG.214) piece, crease. 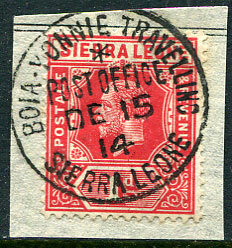 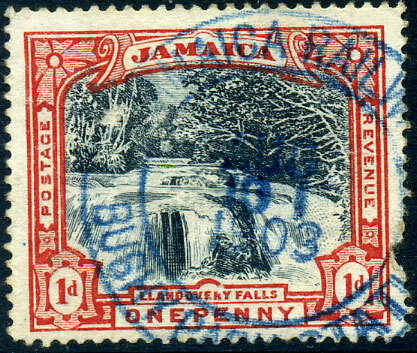 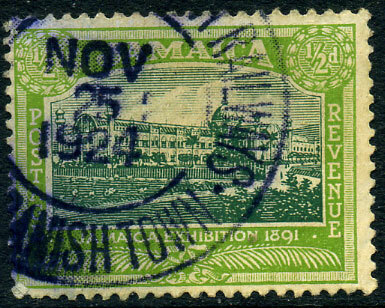 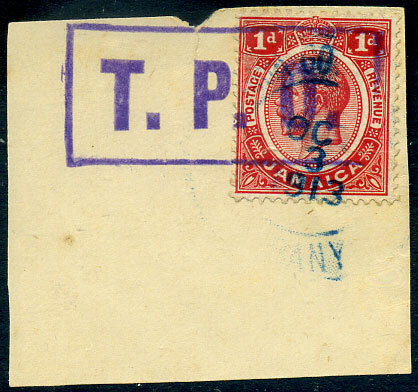 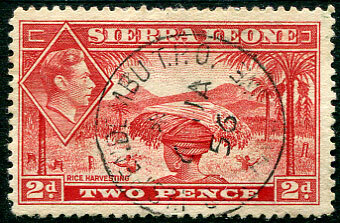 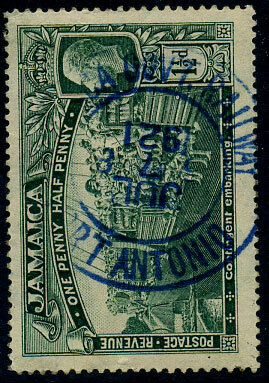 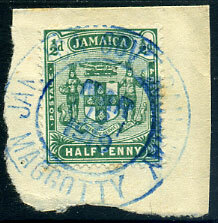 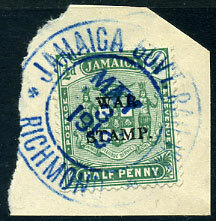 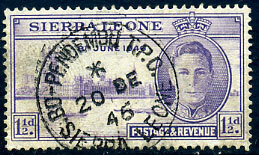 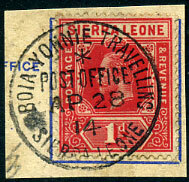 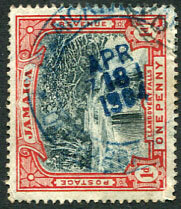 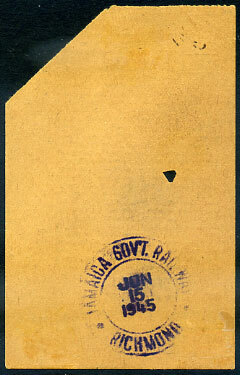 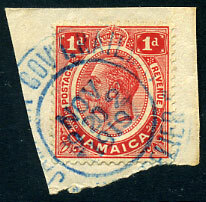 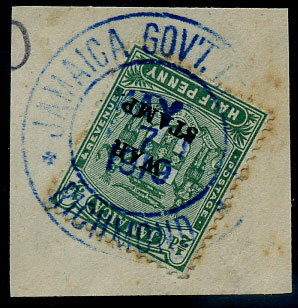 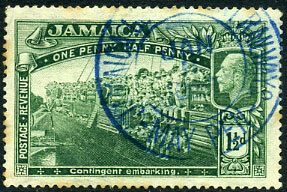 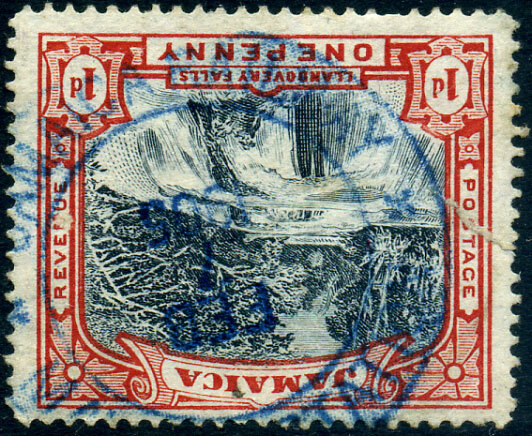 (S2a, D1 in blue) dated FEB 7 1905 on 1d Falls (SG.32), large tear at left. 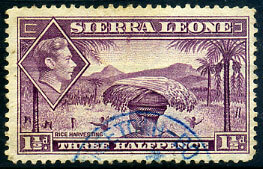 Rare, few strikes known. 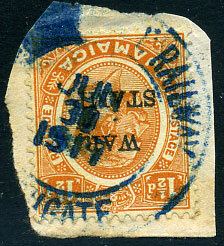 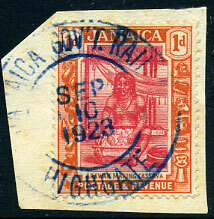 (S2b in blue, Proud unlisted) dated AUG 10 1903 on 1d Falls (SG.32), perf. 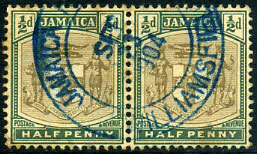 defects at lower right. 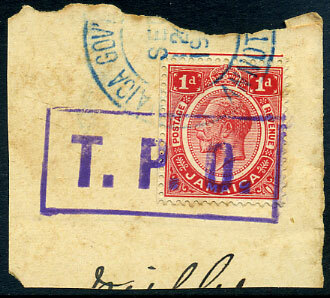 Only one dated strike for JAN 20 1906 recorded by Topaz, Seifert, Cwiakala, a further strike dated FE 27 1905 confirms no side dot so Type S2b and not S2. 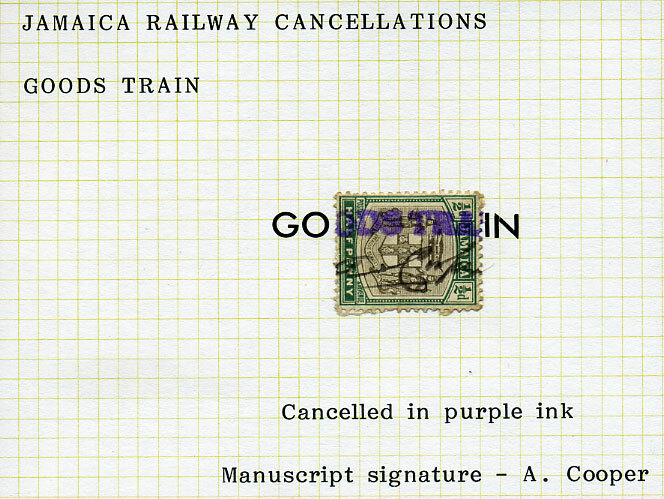 The cancel seemingly so elusive that it is unlisted in the Proud handbook. 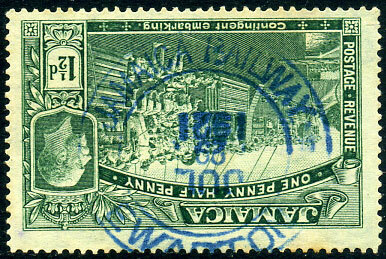 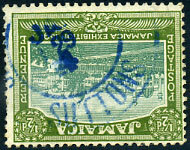 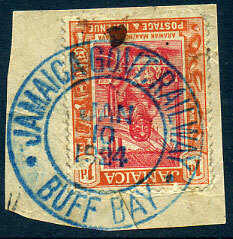 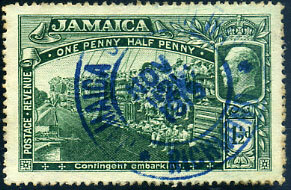 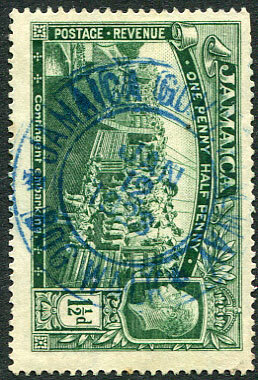 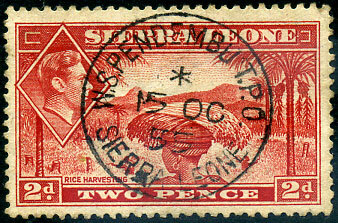 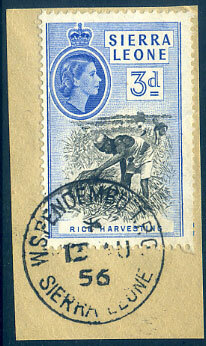 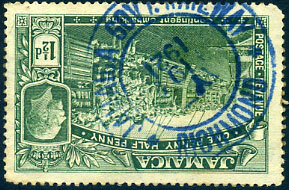 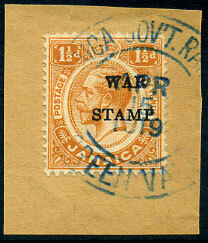 (blue S3a,D3) DEC 17 1917 on KGV 1½d WAR STAMP (SG.74).